"Our discovery was that we could manipulate the structure, atom by atom. We were able to manipulate the atoms and alter the crystal structure during the growth of the nanowires. This opened up for vast new possibilities. We were among the first in the world who were able to create a new gallium arsenide material with a different crystal structure," says Helge Weman at the Department of Electronics and Telecommunications. This process exists in nature as well. For example, diamond and graphite – the latter is used as the "lead" in pencils – are composed by the same carbon atoms. 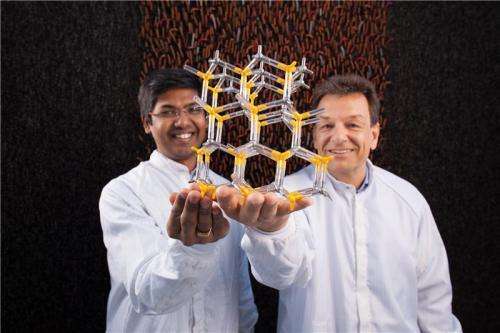 But their crystal structures are different. "We are showing how to use graphene to make much more effective and flexible electronic products, initially solar cells and white light-emitting diodes (LED). The future holds many more advanced applications," says Weman. "Our goal is to create solar cells that are more effective than when they are made with thin film technology," Weman emphasises. Thin film technology is a term from the solar cell technology. 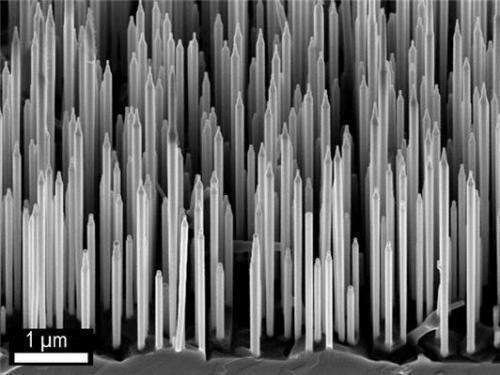 This technology develops super-thin solar cell panels, where the active layer converting sunlight to electricity has a thickness of no more than three micrometres, i.e. three thousands of a millimetre. The low weight allows easy transportation, installation and maintenance of the solar cells, and they can in practice be rolled out like roofing felt on most buildings. "In cooperation with IBM, we have now discovered that if we stretch these nanowires, they function quite well as light-emitting diodes. Also, if we press the nanowires, they work quite well as photodetectors. This is facilitated by the hexagonal crystal structure, called wurtzite. It makes it easier for us to change the structure to optimise the optical effect for different applications. "It also gives us a much better understanding, allowing us to design the nanowires with a built-in compressive stress, for example to make them more effective in a solar cell. This can for instance be used to develop different pressure sensors, or to harvest electric energy when the nanowires are bent," Weman explains. "One of our objectives is to create gallium nitride nanowires in a newly installed MBE machine at NTNU to create light-emitting diodes with better optical properties – and grow them on graphene to make them flexible, lightweight and strong."